May 29, 2014, 10:37 a.m.
By Joseph Lichterman @ylichterman May 29, 2014, 10:37 a.m.
May 22 was World Goth Day! To celebrate, NPR’s main Twitter account, @nprnews, sent out a tweet to its 2 million-plus followers sharing a 2013 NPR story on Goth Barbie. It earned 156 retweets — among the highest of anything NPR shared that day. On a normal World Goth Day, NPR wouldn’t have sent that tweet, because its Twitter account is typically automated with an RSS feed of NPR stories. But last week, it ran an experiment by manually controlling the Twitter account during business hours. How’d it go? During the five days of manual updating, there were 142,219 visits to NPR’s website from @nprnews tweets — a 45 percent increase from the average (98,213) of the five weeks leading up to the experiment, according to NPR’s Google Analytics data. Links tweeted by @nprnews were clicked on nearly 100,000 more times than links shared automatically the week before, information from its bit.ly account revealed. And the account gained 5,010 followers — about 14 percent more than the week before. Lauren Katz, an NPR intern turned temp, led @nprnews during the weeklong test. The week before, she ran a smaller experiment of sorts by manually tweeting a handful of stories at night after they’d been tweeted out by the RSS feed earlier in the day. The tweets she wrote out received more engagement across the board, inspiring the longer trial. 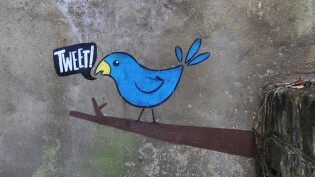 At the beginning of the week, Katz sent out tweets every eight to 10 minutes. Later in the week, she lessened the pace to only once every 20 minutes. During the trial, she sat near The Two-Way, NPR’s breaking news blog, in order to more effectively tweet out breaking news as it occurred. And though Katz was able to schedule some of the tweets ahead of time, she said managing the account, at least early in the week, “meant that I didn’t leave my desk, basically,” as she tweeted out nearly every story NPR published, up to 100 stories daily, at least once. And that’s manpower that NPR might not have, even though the experiment was successful in increasing engagement. Including Katz, there are three people on NPR’s social desk, but Katz is likely leaving the network when her contract expires next month, meaning the desk will be spread thinner. Though they haven’t yet decided how to implement what they learned from their week of manually controlling Twitter, NPR social media strategist Melody Joy Kramer said she’s considering a few ways to have increased human control over @nprnews without it becoming an overwhelming burden. Some news organizations, like The Wall Street Journal and NBC News, maintain manual control of their Twitter accounts around the clock with social media staffers spread across the world. That’s not something NPR has the capacity for, but it does have a news desk staffed 24/7, and the team that produces Morning Edition arrives at work in the wee hours as well — many of them already tweeting from their personal accounts, Kramer noted. When you have no idea if its night or day anymore, coworkers say "have a good sleep" to each other. “The question is what can people take on additionally to what they’re doing. I think when you’re doing radio, it’s a lot more time consuming than when you’re at a print publication because you have to edit the audio,” Kramer said. At a large legacy news organization, still focused on producing news for the radio, making changes like that can be a slow and arduous process. But since Kramer assumed her current role last year, she’s made a push to make social media and digital analytics a larger focus at NPR. Just last month, she helped oversee the release of an analytics dashboard to better inform the newsroom on how it can reach its audience. To that end, @nprnews also retweeted more NPR journalists’ own tweets and tweets from other NPR shows or desks. 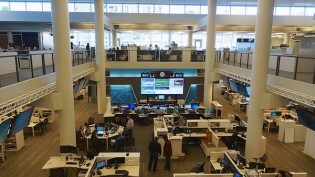 How individual NPR reporters use Twitter has received more attention of late as NPR media reporter David Folkenflik unleashed a torrent of tweets in the wake of Jill Abramson’s firing from The New York Times. Vox created a Storify of Folkenflik’s tweets that it published on its own website, and the whole episode sparked a debate both within and outside NPR on whether it was best for Folkenflik to tweet out information like that instead of posting it directly on NPR’s website.
.@nprnews Whoops. I mean — now we’re humans instead of robots. 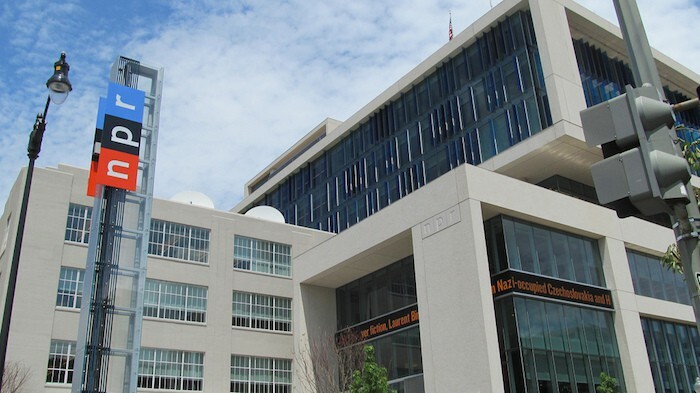 Photo of NPR headquarters by Eric Langhorst used under a Creative Commons license. POSTED May 29, 2014, 10:37 a.m.
Lichterman, Joseph. "It’s alive! What NPR learned from turning its @nprnews Twitter account from a bot into a human." Nieman Journalism Lab. Nieman Foundation for Journalism at Harvard, 29 May. 2014. Web. 23 Apr. 2019. Lichterman, Joseph. "It’s alive! What NPR learned from turning its @nprnews Twitter account from a bot into a human." Nieman Journalism Lab. Last modified May 29, 2014. Accessed April 23, 2019. https://www.niemanlab.org/2014/05/its-alive-what-npr-learned-from-turning-its-nprnews-twitter-account-from-a-bot-into-a-human/.